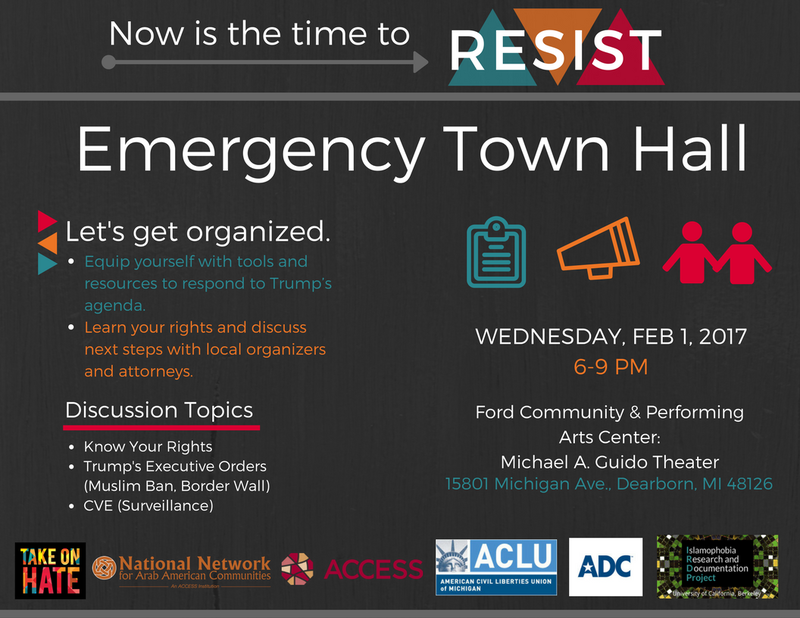 Local non-profit, Take On Hate, is hosting an emergency town hall meeting tomorrow, February 1st, in Dearborn. The meeting is from 6-9 pm at the Ford Community & Preforming Arts Center. Presenters include: Abed Ayoub, Legal Director of American-Arab Anti-Discrimination Committee; Khaled Beydoun, Professor of Law at University of Detroit Mercy School of Law; and representatives from the ACLU of Michigan. 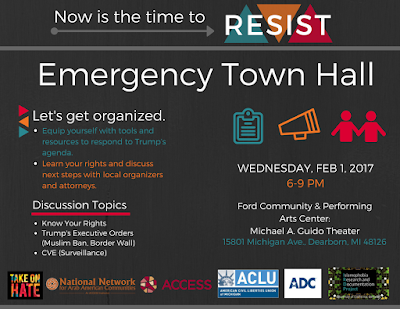 The discussion will cover topics including Discussion topics your legal rights, Trump's Executive Orders (Muslim Ban, Border Wall), and CVE (Surveillance).